It should work on all versions of Linux but has been tested and works perfectly on Ubuntu. You may need to change the path used for the BIND config file. Automating the installation of software via bash scripting on Linux can be difficult. However, in debian and its related distributions such as Ubuntu, you can simplify the installation of packages by using a few tools. One of these tools is called debconf-utils. If installation packages such as MySQL or PHPMyAdmin ask configuration questions, you can provide a default set of answers without being prompted. This is excellent for testing scripts or automating installation for users who may not know how to appropriately answer these questions. Basically, with debconf-utils you can pre-answer these questions so that no prompts show up! password defines the type and 1234 sets the password to 1234. Default configuration will be used during the installation of the phpmyadmin package, which means it may not work after being installed because some configuration options should be answered. So, use both combinations for various packages to fit your needs! When creating a self extracting installation wizard using WinRar, you may want to create a shortcut to your program on the user's desktop. Typically, these parameters are specified in the "SFX options…" dialog. In the "Advanced SFX options", click on the "Advanced" tab. Here, you'll see a section called "Shortcuts". If you create a shortcut using the "Add shortcut…" button, WinRAR will typically leave out an important undocumented feature. Or, make sure you place a "\" (no quotes) for the "Destination folder" in the add shortcut helper. This problem only affects desktop shortcuts and can be fixed by adding a "\" to the parameters for each desktop shortcut after the program's name. CKEditor 4 changed the way its toolbars work. With CKEditor 4, you can no longer create a custom toolbar group with a defined list of custom toolbar items. The developers of CKEditor claim this change was made to further innovate its editor software. I'll let you be the judge on that. Despite these changes, it is still possible to use an updated version of HTMLButtons which will add your custom toolbar buttons to the "about" toolbar group. The above button declaration will insert a div and pre element into the source of my post and place the pointer inbetween the pre tags. Thus, any text that is typed once the button has been clicked will be wrapped within the div and pre elements. You can also highlight text and click the button. If you highlight text and then hit the button, the highlighted text will be automatically inserted within the div and pre opening tags and before the end tags. 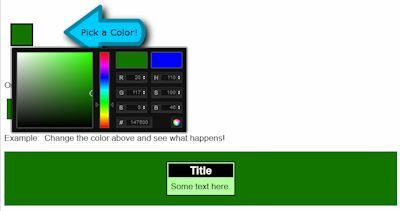 You can add as many buttons as you like following the template or remove as many as you wish. // The equivalent of "WordpressFull" toolbar, defined in a way that makes adding buttons from plugins easier. Save the file, upload it to the server, and overwrite the existing file. Clear your browser cache and relogin to WordPress. You should now see your custom buttons, and they should work when you click on them based on how you defined their behavior. Unfortunately, there's not a lot of documentation out there on how to properly add custom buttons to WordPress' CKEditor main editor / format utility. That's about to change. Based on countless hours of searching the internet and posting on various forums, I've found the easy way to add custom buttons that perform their own functions and format certain pieces of text using custom css classes that I've defined in the main style sheet. This plugin allows you to easily create as many buttons as desired for both the full editor (the one you see when making a post on your WordPress blog) or the basic editor (the one visitors see when leaving comments). The first step is to download this plugin. I modified this version of HTMLButtons myself, which is why it's version 1.3. (versions 1.1 and up were also released by me). Version 1.3 fixes a few bugs, keeps inline HTML formatting when modifying selected text, processes partial selections properly, and processes block selections properly. The mouse pointer location is also reset correctly to the original selection in version 1.3. When you click on your custom buttons to insert block elements, the text and HTML inline elements within the selection will be preserved. The highlighted text is appended within element tags. This is better than the initial implementation. If nothing is selected, the elements are inserted with the pointer inbetween these elements. For more information on the original version 1.0 HTMLButtons plugin or to find out about the original author, click here.Once you've downloaded this plugin, unzip the files into a folder that you can easily find. Now, we need to edit this plugin and configure our custom buttons. Open plugin.js using a text editor such as PSPad or Notepad from the folder where you extracted the contents of htmlbuttons1.0. The above button declaration will insert a div and pre element into the source of my post and place the pointer inbetween the pre tags. Thus, any text that is typed once the button has been clicked will be wrapped within the div and pre elements. You can also highlight text and click the button. If you highlight text and then hit the button, the highlighted text will be automatically inserted within the div and pre opening tags and before the end tags. You can add as many buttons as you like following the template or remove as many as you wish.Next, you'll need to upload your htmlbuttons plugin folder to the wp-content/plugins/ckeditor-for-wordpress/ckeditor/plugins/ directory. Once this has been done, open the wp-content/plugins/ckeditor-for-wordpress/ckeditor.config.js using a text editor. config.extraPlugins = 'htmlbuttons';          // The minimum editor width, in pixels, when resizing it with the resize handle. // switching from Source to WYSIWYG. config.protectedSource.push(/<\? [\s\S]*?\?>/g);    // Define toolbars, you can remove or add buttons. ];    // The equivalent of "WordpressFull" toolbar, defined in a way that makes adding buttons from plugins easier. That's all you need to edit. Save the file, upload it to the server, and overwrite the existing file. You should now see your custom buttons, and they should work when you click on them based on how you defined their behavior. What does your button do from your example? Thus, when the button is clicked, I have inserted custom code into the source of the post that will format the text exactly as I have defined. This is a great shortcut to be able to make my blog posts look exactly how I want them to look.